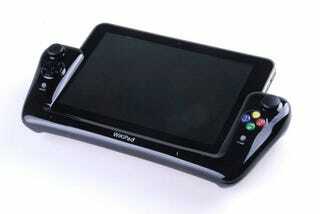 WikiPad, the Android tablet/game controller combo, was originally scheduled to be released today. Due to last-minute "refinements", it's been delayed, with a new release date to be announced eventually, I'm sure. GameStop customers that preordered the tablet and were completely freaking surprised today will have it made up to them with some sort of extra crap that really doesn't matter, they wanted it today. Dammit. Here's the full statement from the WikiPad team, for what it's worth. We are very eager to deliver the Wikipad experience and are passionate about excellence. We apologize for this delay and want you to know that we are committed to bringing you the very best, high-end gaming tablet possible. We are in the final stage and will be announcing the new date soon.